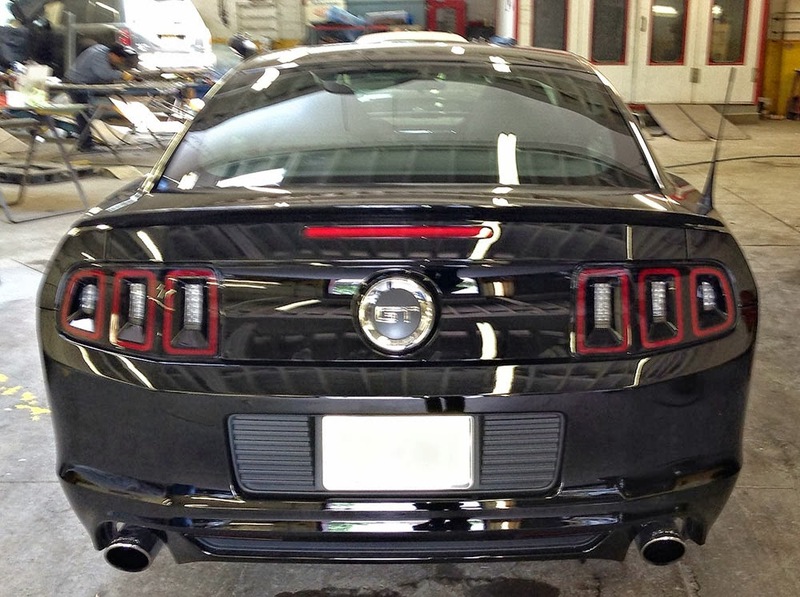 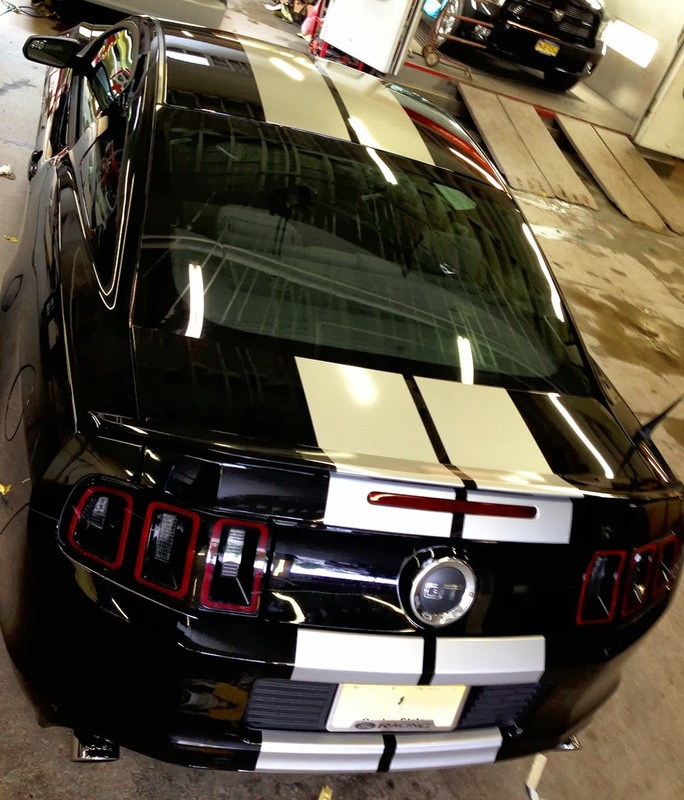 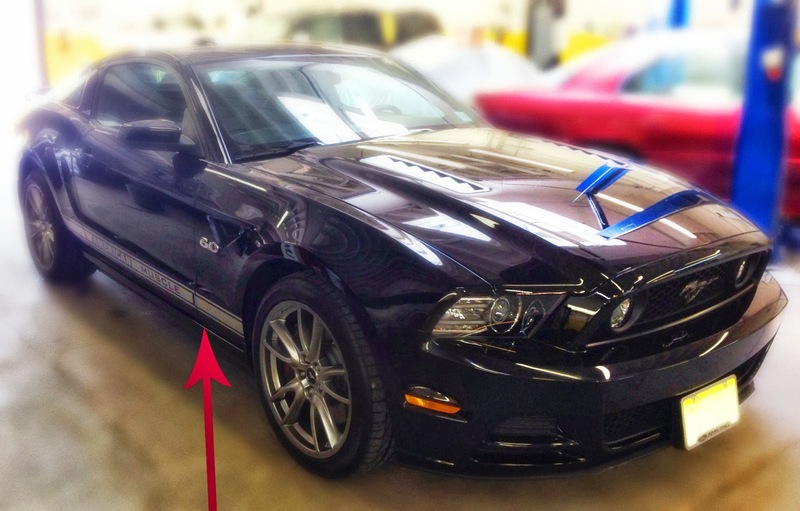 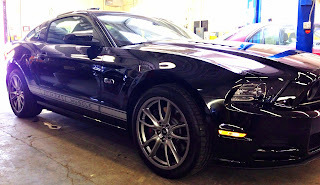 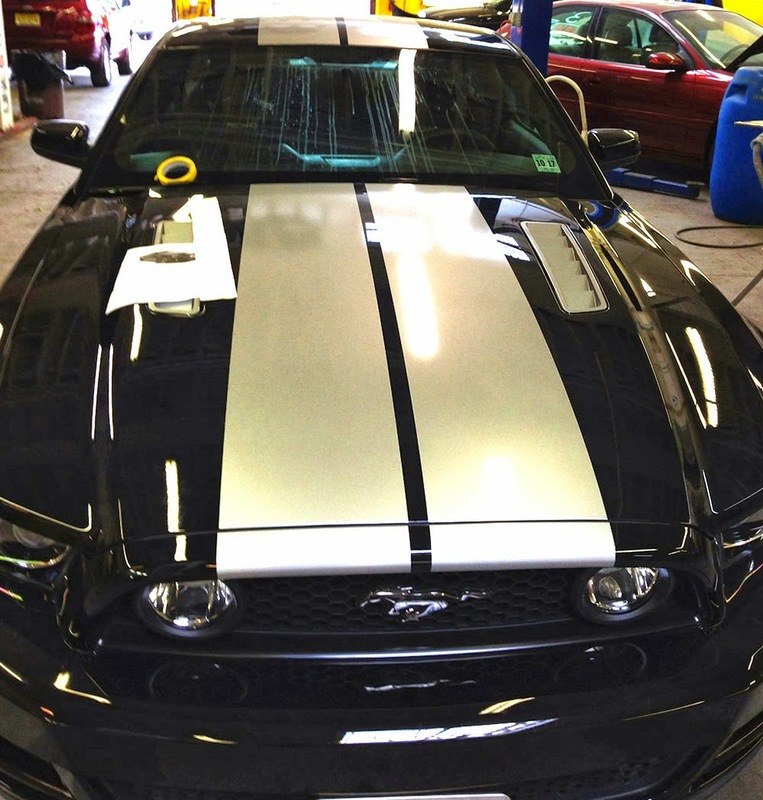 Our client asked for his Mustang GT to be detailed with silver stripes on the bottom of his black car. 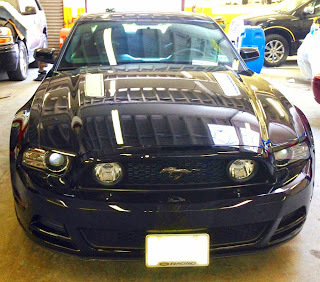 After we finished the job he was thoroughly grateful and went about his way. 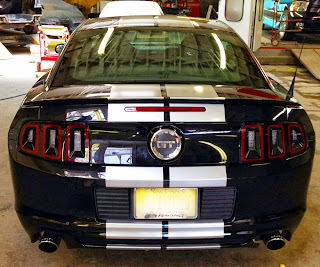 A few weeks later he returned asking for additional striping. So that's what we did for him.